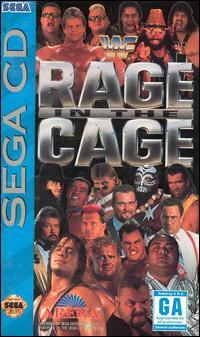 WWF Rage in the Cage was released just in time for Christmas on December 21, 1993 and was the first WWF game to feature actual video footage. This arcade -style classic was available for the Sega CD gaming system, developed by Sculpture Software and published by Arena Entertainment. Featuring 20 wrestlers , the 16-bit game featured a standard match, a no holds barred match, a tournament mode and a steel cage match. There were no tag team modes available, but the 20-wrestler roster would remain the biggest to be released in a game for six years. The title became one of the company’s most popular video game releases, and helped usher in the next era of wrestling gaming.